I spend my entire professional life trying to make the complex simple, but some people seem intent on doing the opposite. Recently, the wonderful British railway system gave me a masterclass in complexity, in a way that that only they know how. I was off to visit a customer and due to their location decided that the best way to get there was on the train. It rained hard in the morning which was no big deal, but is usually a warning to Brits to get an early train, pack provisions, and prepare for all eventualities. So I allowed a bit of spare time, and following the advice of the train timetable app I decided that the 09:38 was the train for me. On arrival at the station there were a few delays, and then just before my train was due to depart there was an announcement that the 09:38 was delayed due to flooding. So I waited, and then there was another announcement that the 09:38 had been cancelled. The controller said that the 09:38 fast service was running late, and that the 09:38 slow service had been moved to a different platform as it was also delayed. 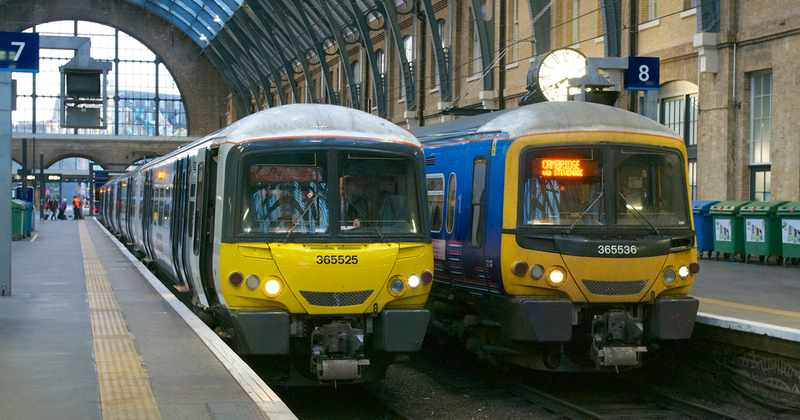 What does a train trip from Kings Cross have to do with #analytics? More than you'd think! This guy is clearly wasted on the railways and should be performing stand up comedy. And so I caught the slow train, which indeed was much faster than the fast train, and I made the meeting - just. What’s any of this got to do with analytics I hear you ask? Well, it just proves the point that everyone has a right to simple, clear information on which to base their decisions, presented in a way which they can easily understand. Our national railway is a great example of how not to do things, but it’s not the only one. Businesses have to think about how their users will interact with the data they are provided, and the sort of decisions they will make with that information. When presented with conflicting or confusing information, people are unlikely to make the best decision. If in doubt keep it simple, and if you run a train network and decide to run two services to the same place at the same time from the same station then consider the confusion you will inflict upon your passengers, and do something about it! If anyone has built a Qlik Sense app with UK train times I need a copy!